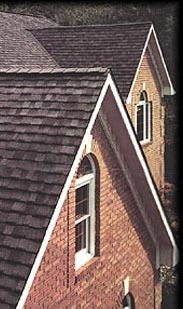 Five Star Roofing provides quality re-roofing services to residential customers in the greater Houston area as well as re-roofing and new construction roofing for commercial projects all over the state of Texas. We have been in business since 1988 and have thousands of satisfied customers. Call us today for a free, no obligation estimate for your next residential or commercial project. Copyright © 2003-2013 Five Star Roofing. All rights reserved. Business Web Design by InfoServe Media, LLC.